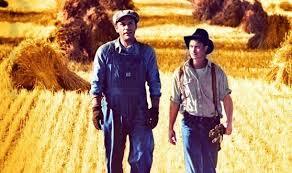 The renowned story Of Mice and Men, based on the 1937 novel by John Steinbeck, is returning to the Broadway stage in April 2014. Of Mice and Men (which is required reading in many schools) is based on Steinbeck’s own experiences as a migrant worker during the 1920s. The story is set during the Great Depression in California. Two migrant ranch hands, George Milton and Lennie Small (who is mentally disabled), are moving place to place searching for new job opportunities. Relying on each other for support and love, they dream of acquiring their own piece of land one day. The two friends find work on a ranch and begin saving money for their future. When the Boss’ son, Curley (an abusive superintendent), bullies Lennie, it results in Curley’s broken hand. Curley’s power trip over Lennie sparks the interest of Curley’s coquettish wife. Lennie, however, accidentally kills her. Now that Lennie has caused major trouble, George must choose between protecting his friend or pursuing his dream. He decides to shoot Lennie before his companion is the target of revenge, and therefore, he loses all hopes and aspirations for living the American Dream. 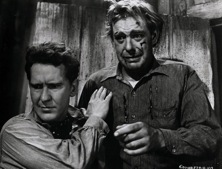 Burgess Meredith and Lon Chaney, Jr. played George and Lennie in the original film. 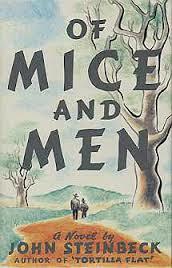 One major theme Steinbeck emphasizes in Of Mice and Men is the theme of the American Dream. Over the years, Americans have begun to place more and more value on ideals such as wealth and freedom. People flock to America from all over searching for this American Dream, but it is unattainable for most. Almost every character in Of Mice and Men has an American Dream of their own, but they never achieve it. Through these characters, the story’s setting, and symbolization, Steinbeck portrays the impossibility of the American Dream. For instance, George dreams of being self-sufficient and having his own land. He wants to be his own boss and not work for somebody else. 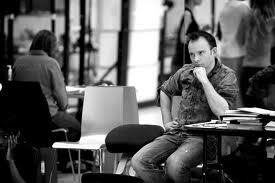 At the same token, he also wants Lennie by his side. Likewise, Lennie dreams of being with George on his land so he can satisfy his desire to pet animals all day long. George and Lennie both desire to live with one another’s best interests in mind. They want to protect each other and be protected. 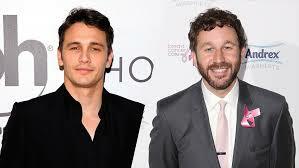 James Franco and Chris O’Dowd play George and Lennie on Broadway this season. The supporting characters are all inspired by George’s and Lennie’s ideals and share similar grandiose dreams. For example, Candy, the elderly ranch handyman, lost his hand in an accident and he fears that this makes him disposable (along with his old age). He also lost his dog and therefore, he is lonely. He longs for security and support, so he offers his life’s savings to George and Lennie if he can join them in owning the land. Crooks, the black stable-hand with a crooked back, is isolated from the other ranch hands because of his skin color. Although he is a bit cynical about George’s and Lennie’s dream, he also longs for security and fantasizes about living in a place where he is accepted. Curley’s wife, a beautiful woman not trusted by her husband, aspires to be a famous actress. By the end of the novel, everyone has lost all hope of attaining their American Dream. Curley’s wife is accidentally murdered by Lennie. Candy is condemned to remain at the ranch. When George chooses to shoot Lennie as an act of protection from an angry crowd, he loses his only true companion and he ends up giving up on his dream. Since George and Lennie were the inspiration for the rest of the ranch workers, they also give up on their fantasies. 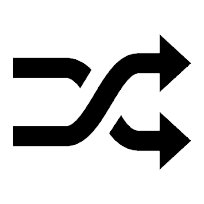 Educators should discuss with their students dream symbols in the story. The future farm is a major symbol as this is where almost all of the characters long to be. Steinbeck uses the descriptions of the farm to depict the unrealistic concept of the American Dream. He seduces the characters (as well as the readers) with these enticing descriptions. In Part 2, I will provide more topics for discussion that educators may want to delve into with their students before seeing this poignant play on stage.